The timber dining table is one of the few pieces of furniture where everybody in the family gathers to talk, eat, and bond. There’s just something about this piece of furniture that unites the family and allows them to talk to one another. If you are moving into a new home, or you recently had a renovation, you may be looking for handmade furniture in Sydney that can serve as the main centerpiece of the dining area. Pedulla Studio Bespoke Furniture is one of the reputable businesses that offer such services in making high quality customised furniture. At Pedulla Studio, its fine craftsmen value top quality services and professionalism in dealing with every project. Before anything else, you have to know which furniture makers in Sydney were responsible for assembling, designing and distributing the piece. You have to check their reputation and credibility in the field. Fortunately for you, Pedulla Studio prides itself on top-notch services and unparalleled reputation in the business. Another thing you have to check is the list of measurements for the table. There are two basic measurements you have to check – first is the measurement of the table from the wall, and second is the measurement between the table and other furniture in the area. In addition to this point, it would also be helpful if your custom dining tables in Sydney have a shape that fits the type of area. For instance, circular tables are perfect for small, confined spaces, while rectangular pieces of custom made dining tables in Sydney are better for big, but narrow spaces in your home. 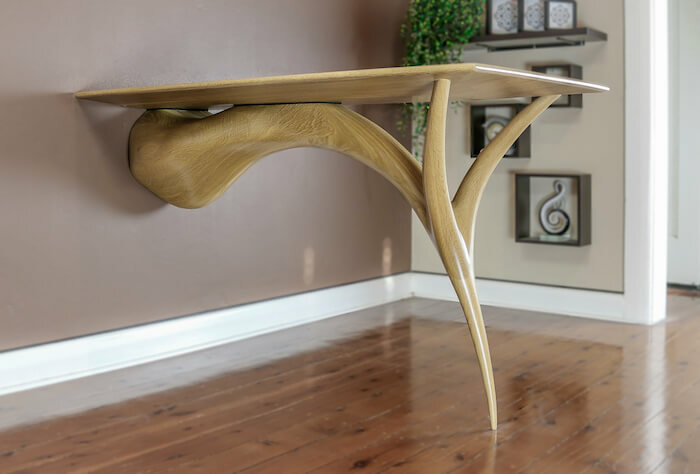 If you are searching for timber dining tables in Sydney that you can customise, just visit Pedulla Studio Bespoke Furniture. It is among the most trusted local businesses in Sydney that offer customised furniture for homes, offices and even commercial spaces. Working with its seasoned and expert craftsmen, you can make sure to come up with a timber dining table that you yourself designed and planned. Call them on 0450 738 828, or send them an email at nick@pedullastudio.com.au for more details.